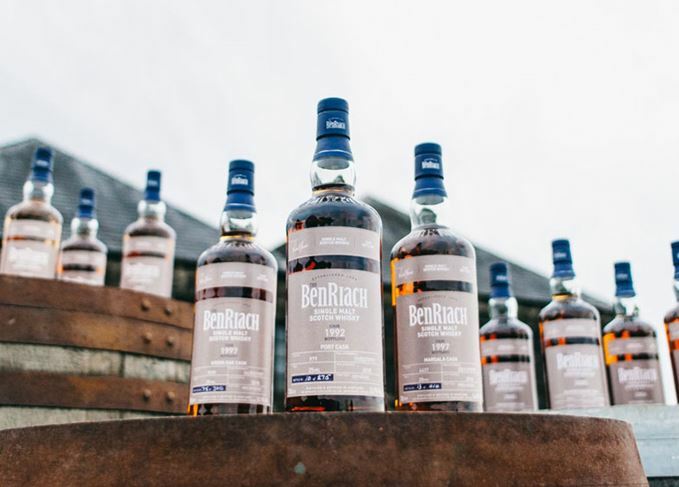 BenRiach distillery has released Batch 15 of its single cask programme, a selection of 17 whiskies aged for between nine and 26 years. The annually-released selection is a range of peated and unpeated single cask whiskies selected by master blender Rachel Barrie, which she believes ‘celebrates the distillery’s creative distilling and maturation heritage’. Batch 15 includes 11 unpeated and six peated expressons, matured in a range of casks from rum barrels and virgin oak to Port pipes and Sauternes barriques. Among the releases are a 26-year-old aged solely in a Burgundy barrique, plus a 20-year-old matured in a virgin oak hogshead. ‘Batch 15 provides a rare opportunity to explore the many facets of BenRiach maturation in one batch, something us whisky makers are lucky to do every day,’ said Barrie. The range is available to buy from specialist retailers in Europe, Asia, Australia, New Zealand and Canada, with prices yet to be confirmed. The expression returns as part of the Speyside distillery’s core range after a three-year absence.